Ref: KA025 Classic campaign glasses used by Victorian gentry and Army & Navy to observe while able to take notes and sketch. Sturdy 19th C. binoculars on elegant beautifully crafted mini-tripod. 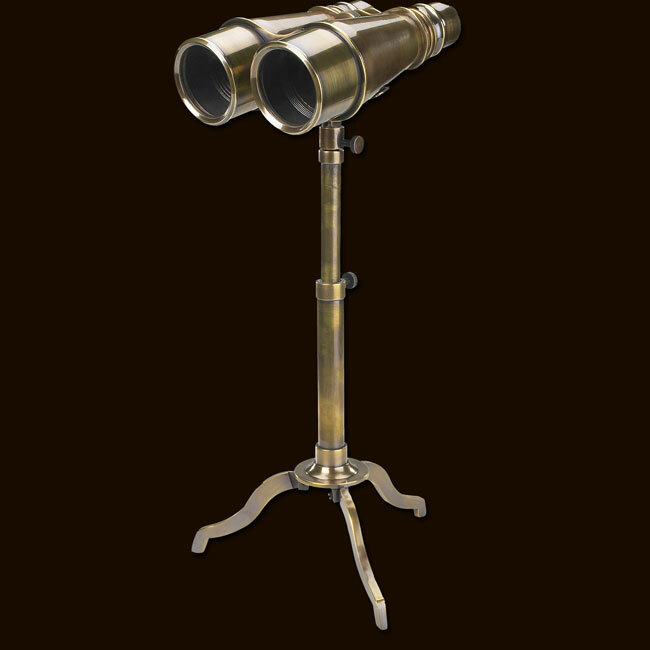 Binoculars were a Victorian invention and were much easier to use than the one lens drawn out telescope.